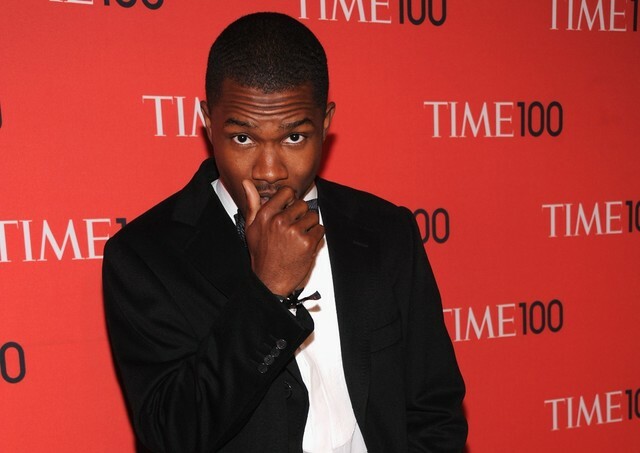 This month, several new songs credited to Frank Ocean appeared on YouTube. One of the videos, a 31-second clip titled “Frank Ocean – My Weekend (Teaser),” is clearly not a new recording—Ocean recently posted an Instagram story of himself singing along to SZA’s hit by the same name, and the snippet in question splices that audio with the original track. The other two videos, uploaded by the same account, are more confounding. One called “Toxic” is a pared-down R&B ballad featuring spoken “Sierra Leone”-style ad-libs, modest melodies that resolve on unexpected notes in Frank’s style, and a voice that sounds very, very much like his. Another called “Undecided” is a less structured composition, built around effect-smothered vocals and mostly lacking percussion, recalling moments on Ocean’s latest album Blonde. Though Ocean has not promoted either song, the reclusive singer has released a series of one-off singles without warning, and sometimes without comment, in the years since his last full-length. It’s certainly plausible that a few of his demos had been leaked. Alas, YouTube’s copyright-trawling algorithm knows best, and expanding the video descriptions for the songs identifies each’s true creators. “Toxic” is actually Texas singer Jay Wile’s 2017 single “Numb,” and “Undecided” is Detroit singer Choker’s 2018 song “Juno.” Both versions on the fake Frank Ocean account are muffled, giving the impression that they’re demos, but they are otherwise identical to the originals. It’s easy to be fooled, though. “Toxic” was first shared with me by an editor, and the displayed embed did not include the debunking metadata. The same visual problem exists on Twitter, where many people, hoodwinked or not, have passed along the songs as fresh Frank singles. Learning the truth requires a few seconds of digging and a level of skepticism that’s not natural to discovering music on social media. At this time this post was published, “Toxic” had over 116,000 views in 18 days. As much as one might hope streaming platforms would be vigilant about this type of thing, that’s not always the case. An unauthorized album of unreleased Rihanna demos appeared this month under the artist name Fenty Fantasia on Apple Music and iTunes, where the project charted before being removed. Unreleased SZA leaks popped up on streaming services in December. El-P tweeted a since-deleted thread last October complaining about the number of takedown notices he’s sent Spotify in response to other artists’ music published under his name, calling the company’s lack of quality control “infuriating.” The phenomenon predates streaming, as anyone who downloaded falsely titled mp3s on file-sharing services knows well. There can be currency in this type of fraud, too, as when the Swedish band Zeitgeist’s song “Tar Heart” became a critical favorite after its uncredited inclusion on a leaked file of The Knife’s 2006 album Silent Shout. It’s unclear who uploaded the fake Ocean tracks, but they deserve some credit, perhaps, for having a solid sense of Frank’s sound, and an awareness of fringe artists bearing similar characteristics, enough to know what might feasibly pass as a fake, like some kind of upside-down A&Ring. Neither plagiarized artist is well-known. Choker has a publishing arrangement with Universal Music and performed this month at the semi-popular blog Pigeons and Planes’ showcase at South by Southwest, but he only has two songs on YouTube with over 100,000 views. Jay Wile appears to be independent, and his swiped single has just over 14,000 views, although he is co-managed by an artist relations manager at Genius. It’s quite possible that a connected individual conceived of the fake uploads as a marketing stunt to which I’m now contributing. Wile’s management said “none of us know where [“Toxic”] came from,” and Choker’s team has not responded to multiple emailed requests for comment. In any case, both of the songs are pretty good. Jay Wile’s is an earnest heartbreak tune built around sampled guitar from D’Angelo’s “Untitled (How Does It Feel),” and Choker’s explores some interesting enough textures. If you can get past the uncanny valley feeling, you may enjoy “Numb” or “Juno,” too. Both songs, credited appropriately, can be heard below.